Port Moresby Productions is presenting two new short plays at the Red Sandcastle Theatre this March. 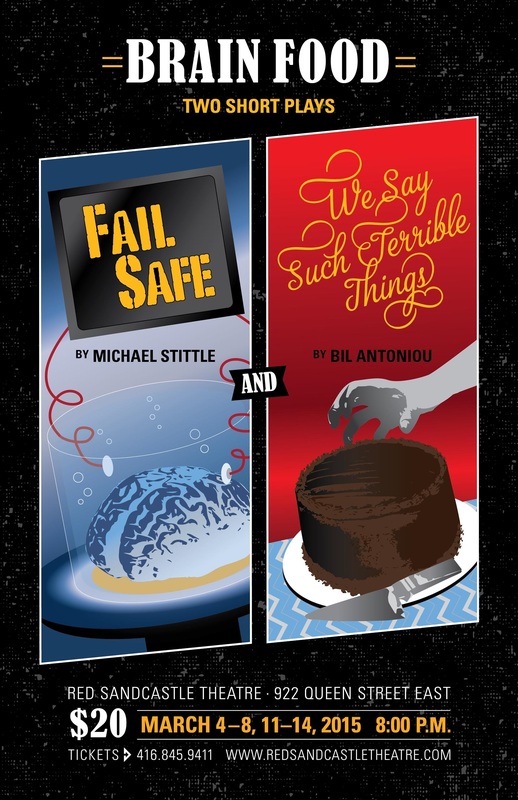 Michael Stittle – playwright and director of Fail Safe – and Bil Antoniou – who wrote, directed, and is acting in We Say Such Terrible Things – invite you to an evening of entertainment including a dystopian dream and biting banter. More information about the presentation is available on Facebook. Posted on February 26th, 2015. Posted in New Plays, Theatre	| Tagged dystopian, men, theatre, toronto	| Have your say. Though there’s only one day left of the Toronto Fringe Festival this year, Glasswater Theatre is remounting two of last year’s FringeKids! productions in the coming week. Click here for last year’s preview of Tarradiddle Productions‘ Honest Aesop’s Fables. Click here for last year’s preview of Shakey-Shake & Friends‘ A Midsummer Night’s Dream… A Puppet Epic! More details on the remount performances can be found here. Posted on July 13th, 2014. Posted in Fringe 2013, Kid-Friendly, Puppetry, Theatre	| Have your say. 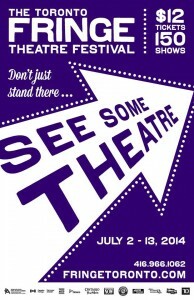 The 2014 Toronto Fringe Festival is under way! Here’s a complete list of this year’s Fringe previews to help you plan your patronage. Thanks to all of the theatre creators who sat down for a chat! Ask Lovecraft – Monkeyman Productions‘ own Leeman Kessler visited to promote a reading of Loring Mandel’s Conspiracy. He’s also internationally known for giving advice as the celebrated and reanimated 20th century horror author. Look for him in the Fringe AlleyPlays tent and on YouTube and Tumblr. Cirqular – a new puppetry piece by Artichoke Heart Collective, whose Co-Artistic Director Michelle Urbano was last heard inviting all to We Walk Among You before it was named one of the Top Ten shows in last year’s Montréal Fringe. Punch Up – the newest play from Theatre Brouhaha‘s incomparable Kat Sandler, who was one of the podcast’s first guests when her play Delicacy debuted. She’s even on the cover of NOW Magazine this year. Congrats Kat! Have a great Fringe! It’s the most wonderful time of the year! Posted on July 3rd, 2014. Posted in About The Podcast, Fringe 2014	| Have your say. 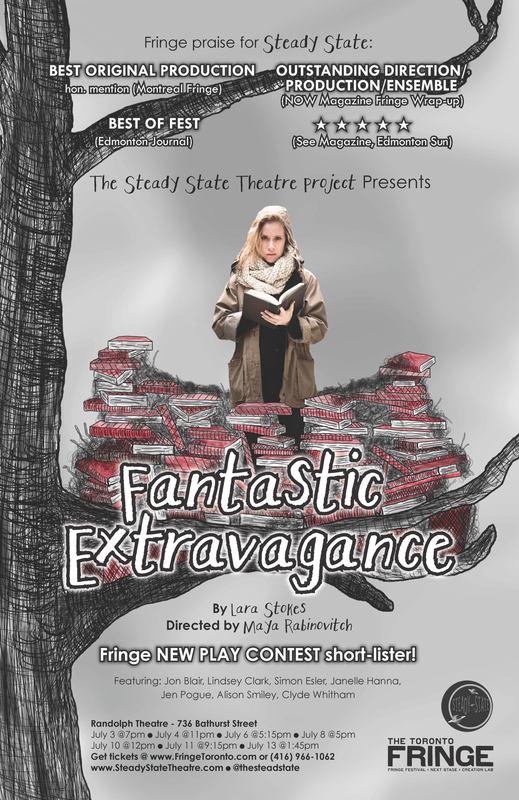 The Steady State Theatre Project provides programming for plays at all stages of development. This year, as part of the Toronto Fringe Festival, the company presents a play it has been developing over the last two years. Playwright Lara Stokes recounts her script’s history and shares her thoughts on the creative process and the relationship between arts creators and arts consumers. 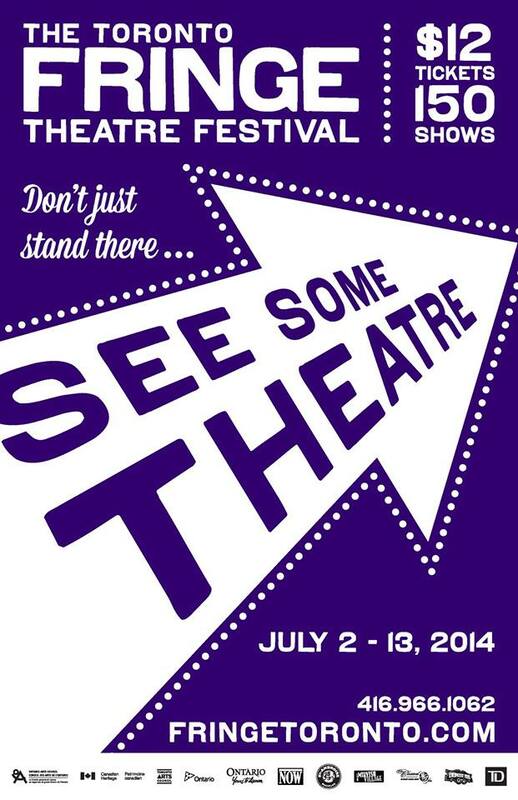 More information about performances is available on Facebook and the Toronto Fringe website. Posted on July 2nd, 2014. 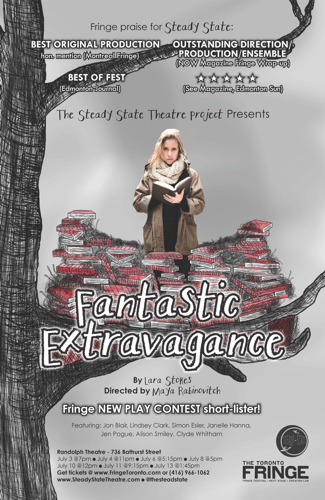 Posted in Fringe 2014, New Plays, Theatre	| Tagged creative-process, lara-stokes, toronto	| Have your say. There’s a lot of scripted theatre in this year’s Toronto Fringe Festival, but it’s also the perfect time of year to see dance performances. And ReActive Dance Theatre is locked and loaded. 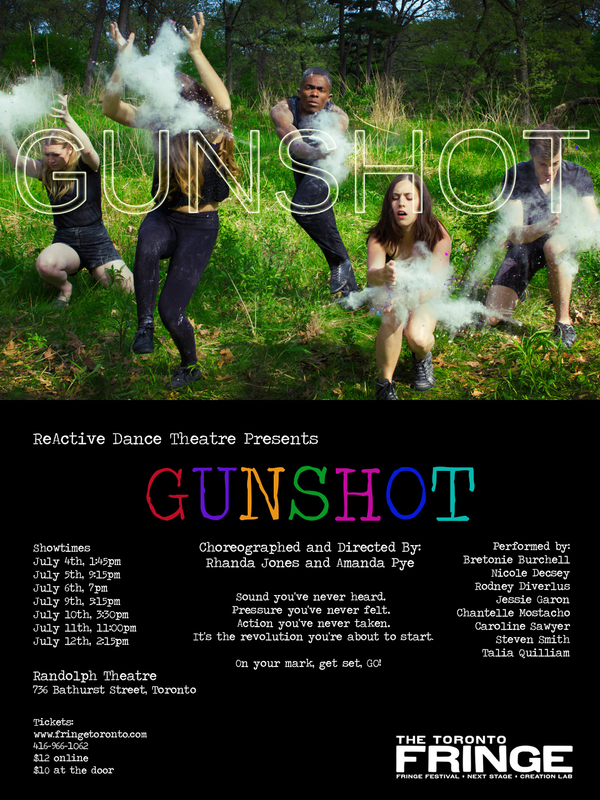 The company’s co-founders, choreographers Amanda Pye and Rhanda Jones, aim to provoke audiences with their work and to present something refreshingly different for Fringe-goers. Posted on July 1st, 2014. Posted in Dance, Fringe 2014	| Tagged amanda-pye, contemporary, dance, rhanda-jones, toronto	| Have your say.